This entry was posted in Fantastic Four, Marvel Essentials and tagged Fantastic Four, Jack Kirby, John Buscema, John Romita Sr., Stan Lee. Bookmark the permalink. Pingback: Throwback Thursday – Essential Fantastic Four Vol. 4 – WORST. COMIC. PODCAST. EVER! 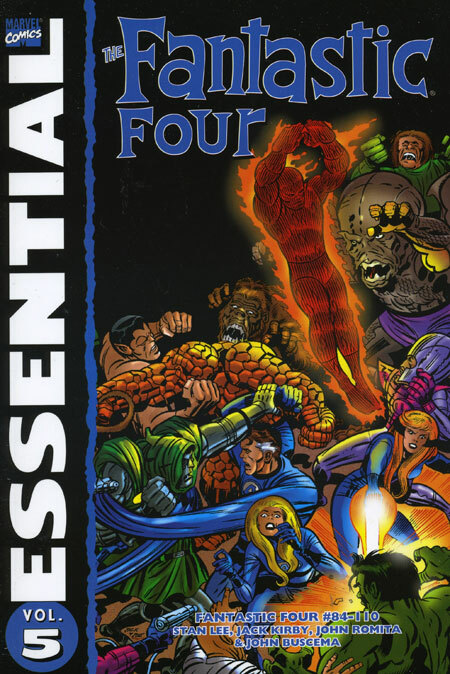 Pingback: Throwback Thursday – Essential Fantastic Four Vol. 5 – WORST. COMIC. PODCAST. EVER!